Ryanair has recently been announced as Europe’s largest Airline based on passenger numbers, carrying 117 million passengers in 2016 breaking all records! With 86 Bases throughout Europe and highly ambitious growth plans, this is your opportunity to operate as Cabin Crew on Ryanair aircraft with Crewlink. "Ryanair is now Europe’s largest Airline and has dynamic plans to grow further. We are recruiting for an unlimited number of Cabin Crew positions and will be recruiting throughout Italy in the coming weeks. No Cabin Crew Experience is required – however you must be an ambitious, hard working person with excellent customer service skills and a passion for travel and meeting new people.” Andrew Swan, General Manager. 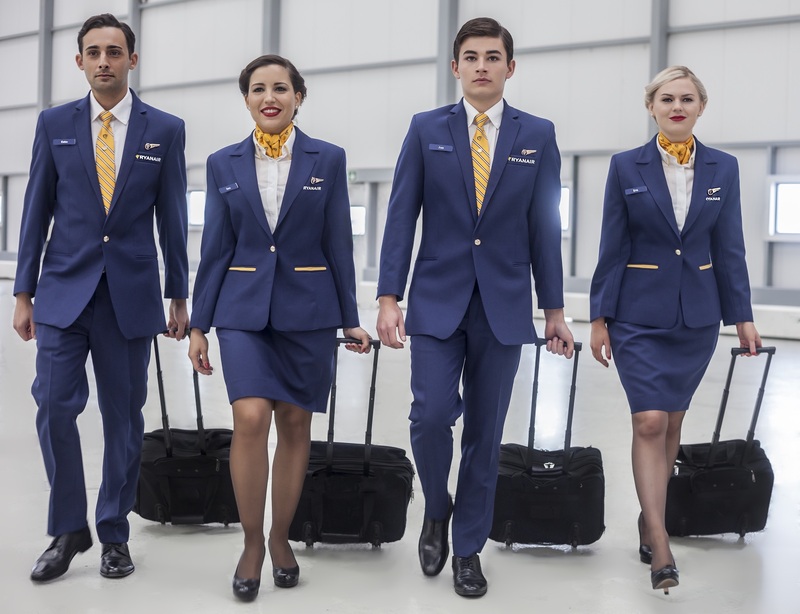 Crewlink recruits, trains and employs Cabin Crew for the aviation industry, with over 5,000 crew members currently operating on Ryanair aircraft. Crewlink brings together a team of highly qualified and dedicated professionals with unrivalled knowledge and experience of the airline industry. Ryanair is Europe’s favourite airline, carrying 117m p.a. on more than 1,800 daily flights from 86 Bases, connecting over 200 destinations in 33 countries on a fleet of over 350 Boeing 737 aircraft, with  a further 315 Boeing 737’s on order, which will enable Ryanair to lower fares and grow traffic to 180m p.a. by FY24. Ryanair has a team of more than 11,500 highly skilled aviation professionals delivering Europe’s No.1 on-time performance, and an industry leading 31 year safety record.